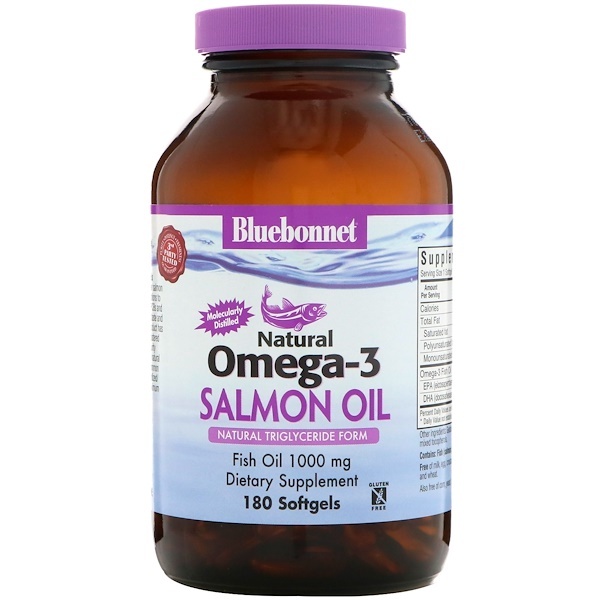 Bluebonnet's Natural Omega-3 Salmon Oil Softgels supply EPA and DHA fish oil derived from cold water salmon that has undergone absorbent and molecular distillations to virtually eliminate all heavy metals (e.g., mercury), PCBs and other contaminants, as well as the unpleasant fishy taste and odor typically associated with fish oils. Plus, this product has been 3rd party tested by an independent, cGMP-registered laboratory using AOAC international protocols for purity and potency. 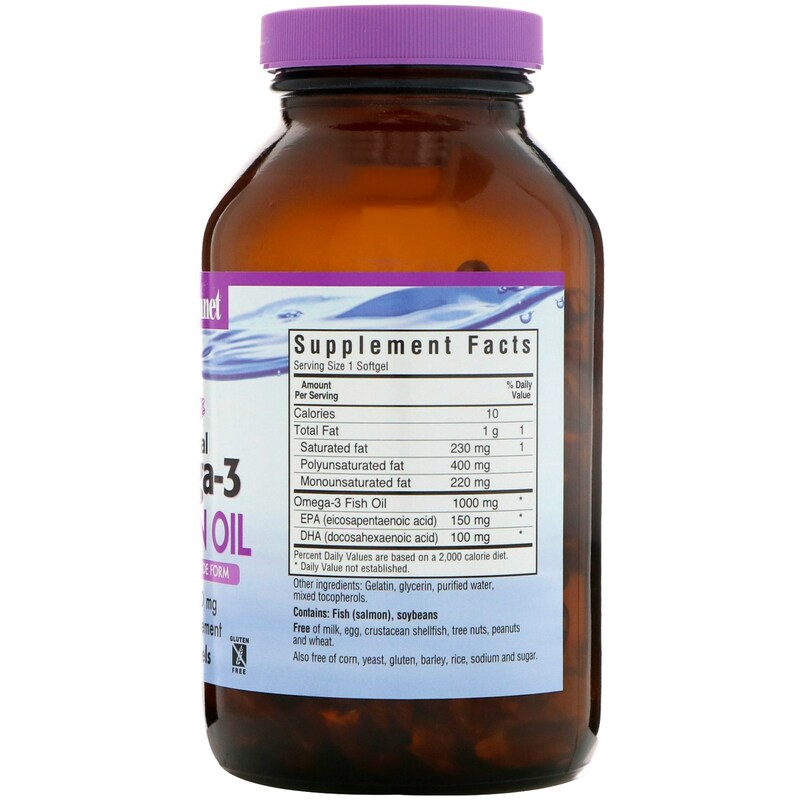 In addition, a more bioavailable/stable natural triglyceride form of fish oil is used instead of the common synthetic ethyl ester form, which often becomes oxidized/rancid. Available in easy-to-swallow softgels for maximum assimilation and absorption. 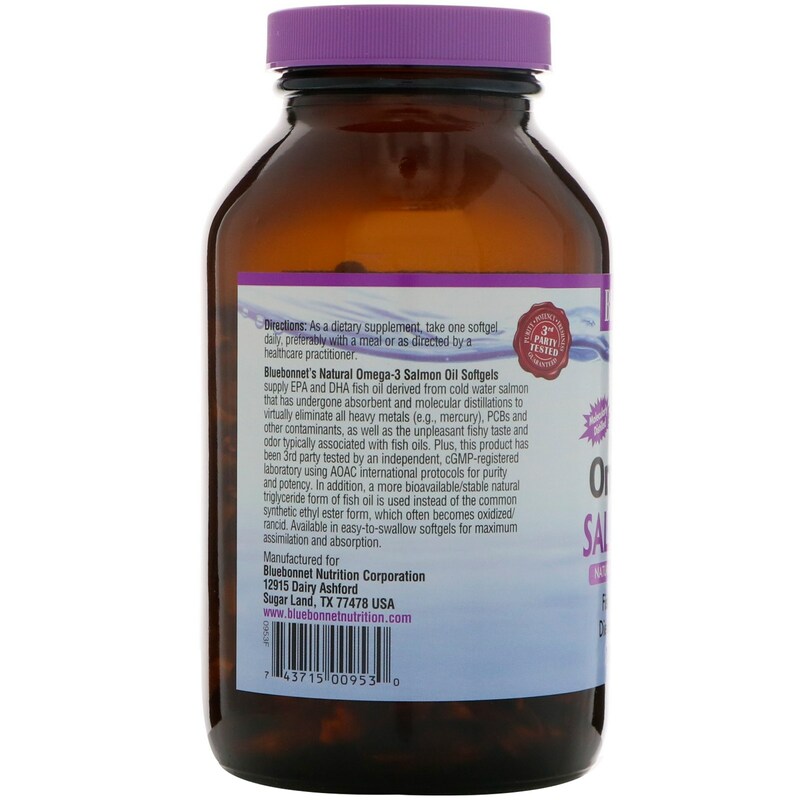 As a dietary supplement, take one softgel daily, preferably with a meal or as directed by a healthcare practitioner. Gelatin, glycerin, purified water, mixed tocopherols. Free of milk, egg, crustacean shellfish, tree nuts, peanuts and wheat.